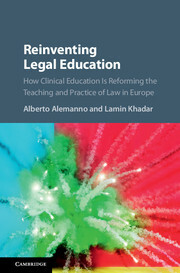 Teaching Law reimagines law-school teaching and scholarship by going beyond crises now besetting the legal academy and examining deeper and longer-lasting challenges. 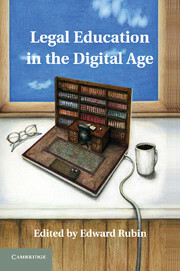 The book argues that the legal academy has long neglected the needs to focus teaching and scholarship on the ideals of justice that law fitfully serves, the political origins of law, and the development of a respectful but critical relationship with the legal profession. 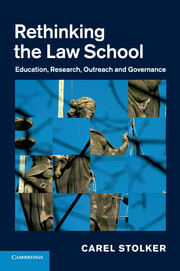 This book suggests reforms to improve the quality of legal education and responds to concerns that law schools eschew the study of justice, rendering students amoralist; that law schools slight the political sources of law, particularly in legislative action; and that law schools have ignored the profession entirely. 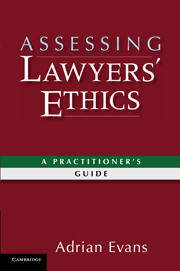 These areas of neglect have impoverished legal teaching and scholarship as the academy is refashioned in response to current financial exigencies, and addressing them is long overdue. 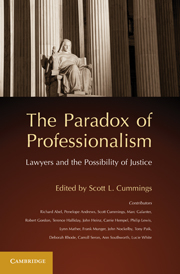 "Teaching Law: Justice, Politics, and the Demands of Professionalism is a significant contribution to the current discussion, and it belongs in the collections of academic law libraries … This book is a plea that law school administrators and faculty ‘not let this current moment of crisis go to waste’. That plea deserves a hearing and a spirited response." 4. 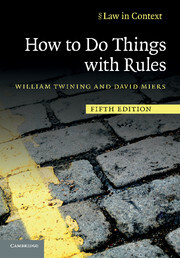 Confronting our existential challenge. 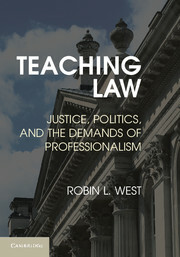 Robin L. West teaches law and humanities at Georgetown University Law Center. 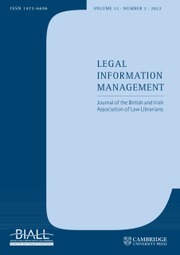 She is the author, most recently, of Normative Jurisprudence: An Introduction (2011) and Marriage, Sexuality, and Gender (2007), and co-editor of Jurisprudence Cases and Materials, (2006 with Brian Bix, Stephen Gottlieb and Timothy Lytton). 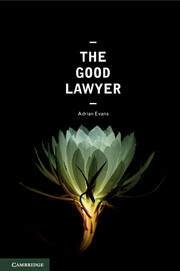 She writes broadly on jurisprudence, law and humanities, legal feminism and constitutional theory. She was one of the founders of the Association for the Study of Law, Culture and the Humanities and is an elected Member-at-Large of the Association for Political and Legal Philosophy. 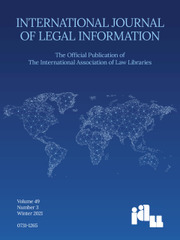 She has published more than 120 articles on law and humanities, constitutional law and theory, and jurisprudence, most recently in The Yale Law Journal, NOMOS, Harvard Law Review Online, Jurist, and Pennsylvania Law Review Online.